this Mae had a bae. This post has nothing to do with selling vintage clothes, but so many of my lovely maeflower customers have been reaching out to see how I’ve been doing. Closing the store turned out to be the most bittersweet decision ever. Bitter for obvious reasons but made very sweet because three weeks after closing, we found out we were PREGNANT! After a very challenging year dealing with fertility issues, this was the most exciting, joyful (slightly scary) news. I decided than it was time to take a break. That meant no more pop-ups, no more vintage hunting adventures, and a major scale back from social media. So here we are 11 months later…the proud momma (still weird to say) of a beautiful baby boy. Bowie James Mansassa. Pinch me because he’s perfect. So stay tuned while I gather my thoughts so I can appear both smart and witty… (I’m actually just waiting for my copywriter husband to edit everything before I hit publish.) But for now here are some cute baby pics of Bowie. dinner parties, pop-ups, and passion. It's been almost two years since I left my corporate job to move back Upstate and start maeflowers (which is crazy town and I still can't believe it.) Anyways, at the time of my move I had zero idea of how exactly to start a business and I was scared out of my mind. Therefore, I did everything else except work on maeflowers. It was easier to distract myself with other people projects and businesses than to face my own fears of going out on my own. In this moment of self doubt and distraction is where the idea of Slow Suppers was born. My aunt, Mary Ellen Clausen, (aka the most inspiring person I've ever known) owns a lovely little cafe in the heart of Liverpool, NY called Cafe at 407. Not only is this gem gorgeous and the perfect place for a cup of coffee but it also provides funding for the non-profit Ophelia's Place. OP offers support and treatment for those suffering with eating disorders and disordered eating. Ok back to Slow Supper (after you checked out the Cafe + OP's website of course.) My aunt was looking for a way to showcase the cafe while throwing a fundraiser for OP that had some pizzazz. 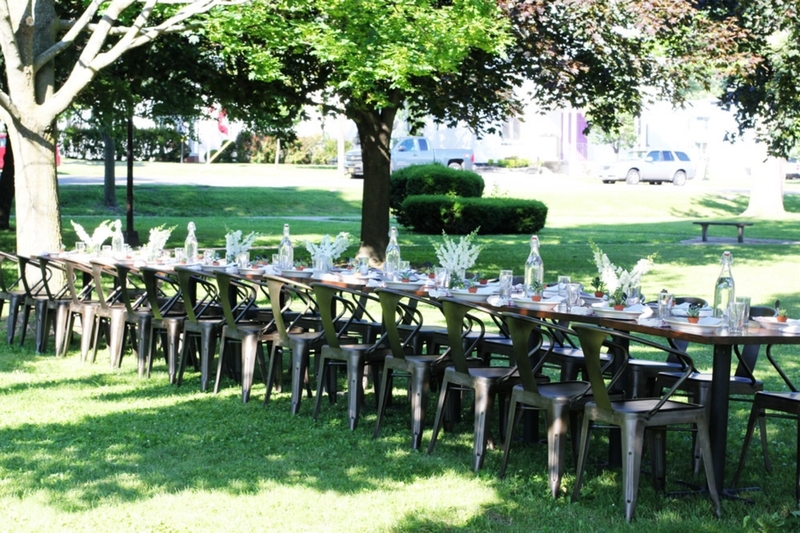 Together we decided that a "pop-up" farm-to-fork dinner party for 45 people would be the perfect soiree. We were right. The night was a huge success. People had a chance to see what the cafe is capable of and OP got a little more money in it's piggy bank. Since than, Slow Suppers have evolved to slightly simpler affairs. We took the fundraising element out, reduced the amount of guests, and the cafe now has two new very talented chefs creating ingenious menus. Now almost 2 years later, the Slow Suppers have become more than just a dinner party to distract myself from starting my own business. They have become these beautiful moments that remind me of why I made this transition. I wanted a life that could defined by my passions. Fashion, beautiful food, and surrounding myself with like-minded people in the community. It inspired me to be brave and go for it with maeflowers. 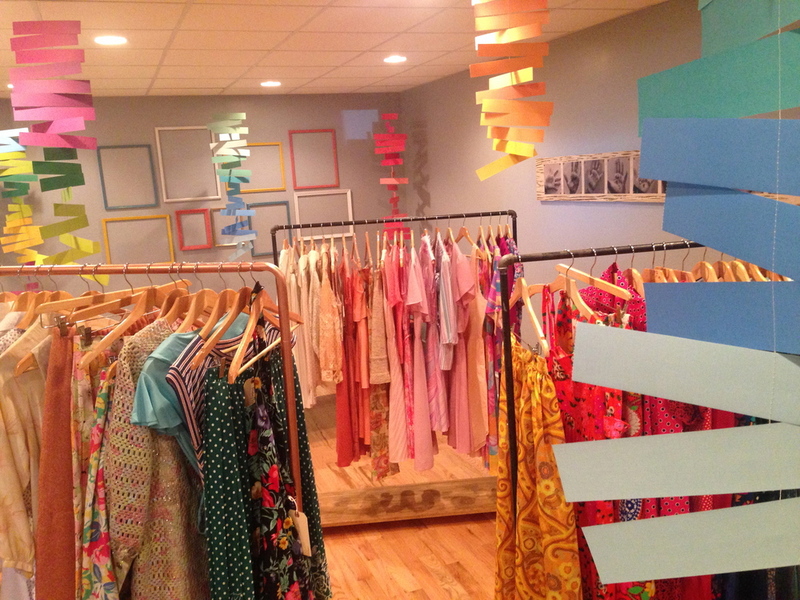 If I could throw a fundraiser in two weeks on zero budget, why couldn't I start a pop-up shop? So I did. And it's scary and paralyzing but at the same time I'm filled with pride and always excited by the possibilities. This blog was inspired by my new friend Carlynn, founder of the GORG lifestyle blog, JJ Begonia, and has done the most wonderful job capturing our Slow Suppers. Nothing inspires more more than meeting yet another person who believes that following your passion can only lead to serendipitous moments. And she's also a supper cool #GIRLBOSS. i love new years. not specifically new years eve, or even the day itself. my love is directed more towards the idea of a fresh start as well as the chance to look back and reflect on the year we just kissed goodbye. with that said, I'm really pleased about the year that maeflowers has had and so thankful for everyone who has helped support this little "pop-up" shop. maeflowers has grown from two racks in my guest room to an actual studio space. it's done 15 pop-ups, participated in the funky flea, and had some fantastic press with the cover of syracuse woman's magazine. after a fantastic year I'm looking forward to things getting more exciting in 2015. i am pleased to announce that maeflowers is an official online retailer and starting now you can shop right from your bed in between netflix breaks! peace, love, and happy new years!